The global AdForum Worldwide Summit was held in New York from Monday, 24 April 2017 to Friday, 28 April 2017. Representing South Africa, for the ninth consecutive year, was the Independent Agency Search & Selection Company (IAS). The 2017 summit brought together agencies and consultants to cover the issues, challenges and trends facing the global advertising and communications industries, with industry leaders presenting their views on the challenges they face in the different markets in which they operate. More than 40 international consultants visited more than 25 agencies during summit week. 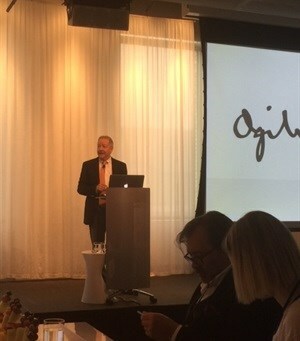 Ogilvy With a new global CEO, John Siefert, who has been with Ogilvy for 26 years and was appointed CEO 18 months ago, the Ogilvy team demonstrated how they are taking all of their own sub brands within the group and transforming the complexity of all of these different divisions into one Ogilvy offering. Siefert talked about the over-fragmentation of the Ogilvy brand, which has added complexity to an already over complex market place with multiple channels and options.Clarify, simplify and unify is the process that Ogilvy is undertaking in order to ensure delivery. Case studies from IBM Watson, 3G Capital and McWhopper were shown to illustrate what is possible. Siefert sees client conflict that might arise due to the transformation being handled simply and with greater trust levels – as agencies move to become more like other professional services organisations such as legal firms or accounting firms or even management consultancies. The overriding impression of the agency is one of thoroughness and professionalism at top level. BBDO We have met BBDO many times and they never fail to surprise us with their outstanding work and their results; definitely an ad forum favourite. This time their surprise was that they – Andrew Robertson and co – did not do the presentations. They asked three of their clients to talk about what it is like to work with BBDO – and to show some case studies and work to illustrate the relationship. It was an excellent session with clients, Mattel (Barbie), PepsiCo (Mountain Dew) and Mars (Pedigree – Feed the Good). An exceptionally interesting session – lots more to share on this when I present back at the master class later this month. The good news is that the industry, though small, is important and growing. Brooklyn Brothers Brooklyn Brothers, which has made its name through content production above line, below line and across all channels, now has linked up via an acquisition with Golin, an established PR business owned by IPG and present in more than 50 markets (including SA via GGi PR), and can distribute its content on a far wider basis. J Walter Thompson We ended the day with an update from JWT and their new top team. Lots of changes in the past few years – and they are aware of the “changing landscape” commented on by many agencies at the Summit, but were are left uncertain about how many of the “legacy agencies” are able to adapt. Wunderman First up was Wunderman and we met with Global CEO Mark Reed, who had told us at the last meeting 18 months ago, of the plans for Wunderman. It was terrific to see that those plans have all come to fruition, so they were able to share some excellent case studies – including a magnificent example from client Investec. South Africa and South Africans are big in Wunderman, who recently merged WPP acquired Acceleration into the Wunderman fold. Creatively driven and data inspired, Wunderman’s purpose is to inspire people to take action. They are also observing that marketers are trying to understand consumers more than brands.With 7,000 people in 170 offices in 60 markets, Wunderman’s largest set up is in the EMEA. Their top global team members have been attracted into Wunderman from other major networks. Their three case studies – Investec, T-Mobile and GSK – perfectly illustrated what Wunderman is achieving. Their client remits are expanding as the successes that Wunderman is demonstrating through data are encouraging clients to give them more of their strategic marketing communications work. Wunderman can now handle all aspects of advertising, except media buying. Wunderman is now much more than just a direct marketing agency. They seem to have simplified a complex world, and found a way to handle client conflict. They regard confidentiality as more important than exclusivity for clients and have built their agency accordingly. Moving Picture Company Next was Moving Picture Company (MPC), owned by Technicolor. They were the first of many content producers that we met during AdForum this time. They work mainly with premium clients via their agencies and are producing content, which will support brands on multiple platforms. “Innovation is in our portfolio” is their positioning and they have done pioneering work with virtual reality (VR) for brands such as John Lewis and Adidas.Collaboration is easy for them. Sometimes their suppliers are competitors too. It all depends on the remit. Vice (and Virtue) Vice is a production and media company set up for youth markets. They have their own TV channel – Viceland – and are the company that understands millennials. Founded 11 years ago, they now produce 6 000 pieces of content per day. 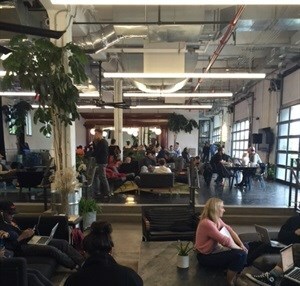 With 600 plus staff in 36 offices, they can produce content in 22 languages. The company is a warren of production studios producing original shows and content for their channel and others - very impressive set up.Virtue is the agency born out of Vice. It was created in response to marketers’ requests. With the belief that “brands have to think and act like media channels”, Virtue has organised itself into an agency able to produce branded content based on tighter brand led briefs. As one of the other agencies said to us, this agency is writing the book on how things should be done in the new era. The founders believe that “if you don’t have anything interesting to say as a brand, then you are just a product” and “content is the new brand strategy.” Case studies for Belvedere Vodka and Diesel were shown to us in order to illustrate their capability. Other brands they work with include YouTube, Unilever, Samsung, Red and Coke – a good mix of older and newer ones.Virtue competes in pitches with Droga, Mother and 72&Sunny, so the competitive set is clear. They position themselves as “a modern partner to ambitious brands”. Anomaly We ended Day 2 with one of the most exciting agencies globally and an AdForum favourite. With their “no timesheet” strategy, this agency enjoyed 58% organic growth in 2016 and 42% growth in new business. AdAge voted them Agency of the Year in 2016 and they are expanding from their 6 offices and 600 people across Europe. Berlin will be their seventh office. As well as being a strong growth agency, they have set up a separate division called ACE, which produces content for brands, branded entertainment and a TV series. Summary My takeout is simple. If an agency these days does not have in-house content production – to the highest standards – they are not an agency of today. Production, production, production. Clients want it and agencies are best placed to do this – in-house is faster and more cost efficient. It is the name of today’s game. and follow her on Twitter at @jomcdowell.